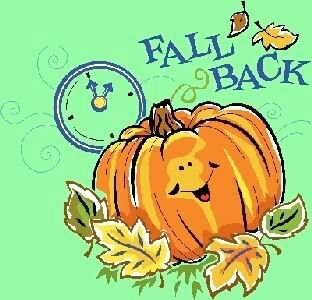 For those of you who don’t know, at 2:00 AM on Sunday November 4, 2012, it’s time to move your clock back one hour to end Daylight Saving Time. This not only gives us an extra hour of sleep, but also brings us fewer hours of daylight and therefore, longer nights by the warm fires! Daylight Saving Time has not always been widely accepted among the public, and regions and countries today routinely change their approaches to it. The concept all started with Benjamin Franklin, and later Britain and Germany began using the concept in World War I to conserve energy. However, Daylight Saving Time didn’t become widely accepted in the United States until after World War II. In the 1950s and 1960s, a lot of confusion was created because each U.S. locality could start and end Daylight Saving Time as it desired. At one point, the twin cities of Minneapolis and St. Paul were even on different schedules! Then, the Uniform Time Act of 1966 was implemented. It outlined that clocks should be set forward on the last Sunday in April, and set back the last Sunday in October. In 1986, it was amended to start on the first Sunday of April. Today, Daylight Saving Time begins on the second Sunday in March and ends on the first Sunday of November. The implementation and ending of Daylight Saving Time has been fought with controversy since Benjamin Franklin conceived the idea. Regions and countries today still routinely change their approaches, and many cities in the past remained on different schedules. Today, each U.S. Time Zone switches at a different time. The universal time of 2:00 AM was chosen for each time zone because it was practical, and it minimizes the disruption. Most people are at home at 2:00 AM, there are few trains running, and it’s early enough that the entire continental United States switches by day break, but before early church goers or workers are affected. Daylight Saving Time is still not observed in Hawaii, Arizona, Guan, Puerto Rico, or American Samoa. In the European Union, summer begins and ends at 1:00 AM universal time. It begins the last Sunday in March and ends the last Sunday in October, and all time zones change at the same moment, regardless of the time. The United States used to share the ending weekend, but in 2007 a new law extended Daylight Saving Time to the first Sunday in November because it provided more light and therefore more safety for trick-or-treaters on Halloween, thus less traffic accidents. Officials also thought that the elections would receive a higher voter turnout with the longer days. to writing. I’ve had a hard time clearing my thoughts in getting my ideas out there. I do take pleasure in writing but it just seems like the first 10 to 15 minutes are generally lost simply just trying to figure out how to begin. Any recommendations or hints? Thank you! Hello, just wanted tto tell you, I liked this blog post.